Hardisk Data Recovery of non functioning laptop hardrive a common issue these days, but most of the time data recovery is possible. 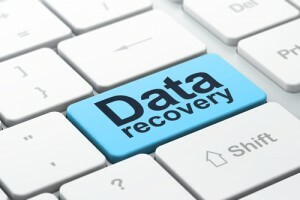 We are laptop solution center able to offer standard data recovery services in house at great prices compared to the competition..We recovers personal and business critical data lost due to accidental deletion, drive formatting, mechanical drive failure, disk making clicking sounds, virus attack, flood, fire, power surge or even sabotage. We recover data from hard-disk drives formatted on Windows, Mac and other operating systems . We have more than 15 years of professional experience behind us, we offer professional services at a reasonable price for all hard disk drive manufacturers i.e. Seagate, WD, Toshiba, Fujitsu etc. You can contact us Shanti Laptop Service in Mumbai for any type of Recovery disaster to recovering data from any data storage media and feel secure that your data is in the hands of professional engineers. Computer Data Drive can be recovered and the files which are corrupt can be recovered in to your new hard drive. The client’s data security and precise recovery are our primary goal. Call us now and see how our Data Recovery Team can help you to recover your precious data. We support almost every data storage media ranging from hard disk, pen drive, optical media, zip drive, flash memory, magnetic film and disks, laptops, cell phones, Server and many more devices that could store data. We constantly upgrade our expertise and evolve new techniques to provide best success result, where other companies fail to recover data and quote it as “unrecoverable” or “not possible”. We have helped individuals as well as small to large size business, non-profit organizations and government agencies. Our expert team is always ready in case of a data recovery disaster to custom tailor a solution to any challenge that our clients may present in front of us.